Troy - Captain Robert W. Jackson, Retired TFD, 82, of Euclid Avenue died Tuesday, April 2, 2019, at the Eddy Memorial Geriatric Center Troy after a long illness. Born in Troy, he was son of the late Walter Jackson and Martha Michel Jackson Garrahan and husband for 43 years of Nanette Peck Jackson. He had resided in Troy all his life and was a graduate of St. Augustine's School and attended Catholic Central High School. 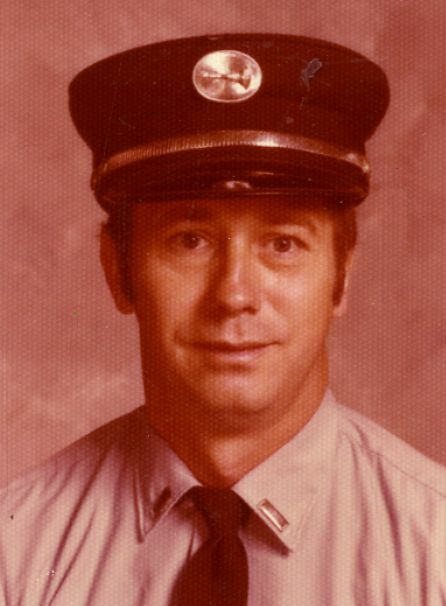 Captain Jackson retired in 1980 from the Troy Fire Department after 22 years of service. He enjoyed playing tennis and was a Marine Corps veteran. Survivors include two brothers, Joseph (June) Jackson, Troy and Frank Garrahan, Austin, TX and several nieces and nephews. He was predeceased by a sister, Marie Mulholland. Relatives and friends may call at the Bryce Funeral Home, Inc. 276 Pawling Avenue Troy on Thursday, April 4, 2019 from 4-6 PM with a funeral service following at 6 PM with Rev. Edward Kacerguis, Pastor of Christ Sun of Justice Church, officiating. Interment will be in St. Peter's Cemetery Stillwater . In lieu of flowers contributions may be made in memory of Robert W. Jackson to the Alzheimer's Association of NENY 4 Pine West Plaza, Suite 405 Albany, NY 12205.